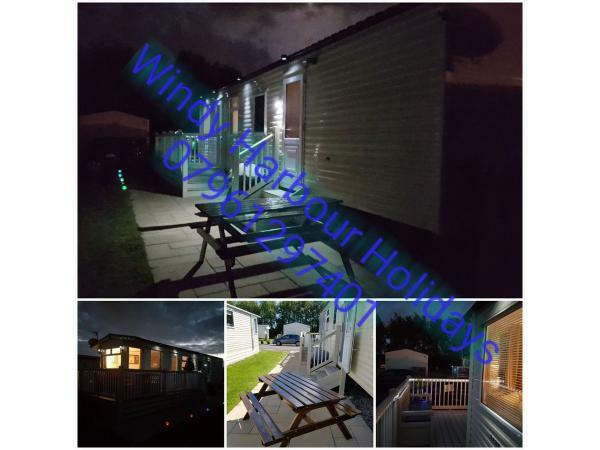 Additional Info: We are pleased to offer this immaculately presented 34'x12' holiday caravan which benefits from Double Glazing & Central Heating, a paved area from the road and to the side of the caravan with seating and a lovely south facing wrap around veranda equipped with patio furniture for those sunny days. The veranda also has a lockable gate to provide extra safety for small children. The caravan is accessed via a paved path so no need to walk over wet and muddy grassed areas. 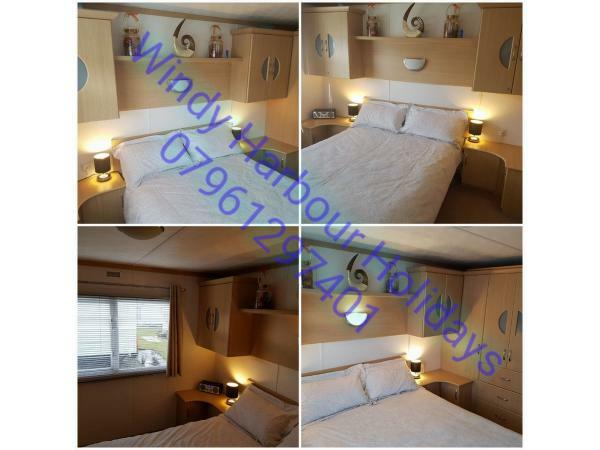 Bedroom 1 has a double bed, overbed storage and ample wardrobe space and access to the caravan's Jack & Jill W.C & shower. Bedroom 2 has twin beds, overbed storage and a wardrobe. Duvets, pillows and bedding are included in the price and the beds will be made up for your arrival. A pull-out double bed is situated in the lounge. The caravan has an iron and ironing board. Please note that towels and tea towels are not included. The kitchen area is well equipped which includes, kettle, toaster, microwave, slow cooker, pans, crockery & cutlery. Adjacent is the dining area. The lounge is spacious and benefits from plenty of natural light. A 48" 3D Smart TV with extensive movie library ,Stereo CD/DAB Radio, Bluetooth Music Player and a selection of games are provided. A cot, high chair and changing mat are also provided. Your car can be parked at the front of the caravan. Arrival after 2pm; Departure by 10am. 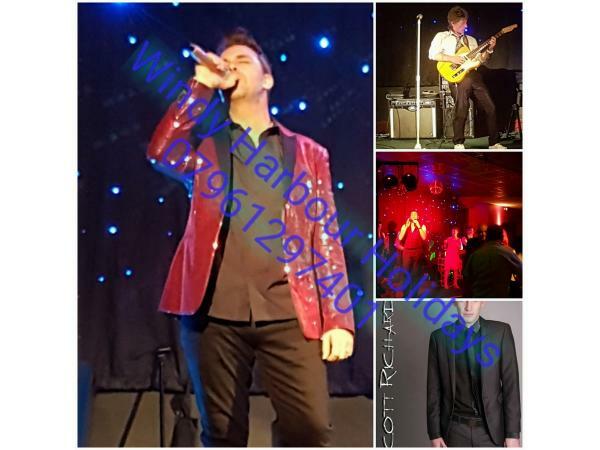 Your booking is secured by a non-refundable deposit of £50. Balance is due 1 month before arrival. Payment can be made by Bank Transfer (preferred) or PayPal (add 3.5%). A bond of £100 is required prior to arrival and is repaid following confirmation of there being no damage or excessive cleaning required. 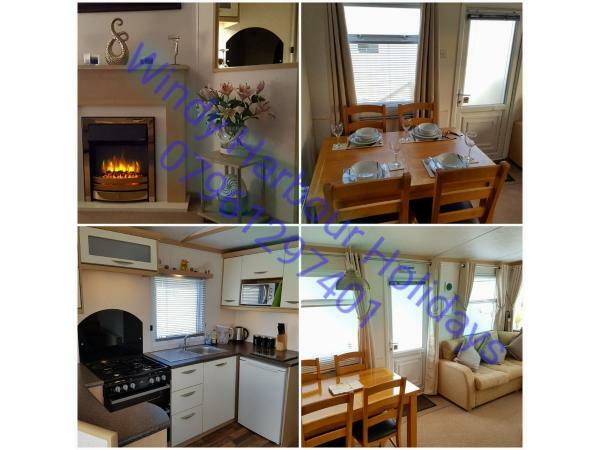 We are pleased to offer this immaculately presented 34'x12' holiday caravan which benefits from Double Glazing & Central Heating, a paved area from the road and to the side of the caravan with seating and a lovely south facing wrap around veranda equipped with patio furniture for those sunny days. The veranda also has a lockable gate to provide extra safety for small children. 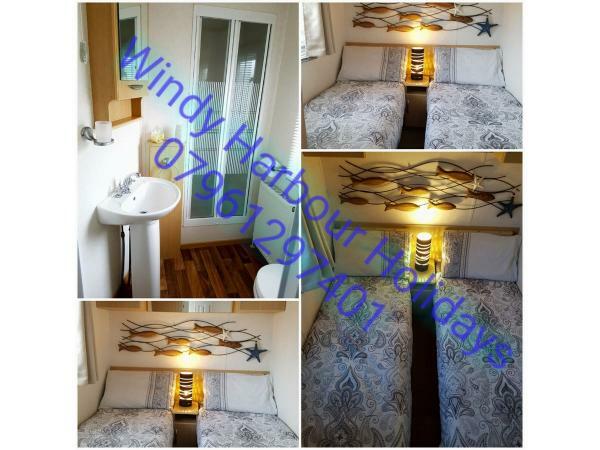 Availability is generally for 3, 4, 10, 11 & 14 night breaks with changeover on Mondays & Fridays. 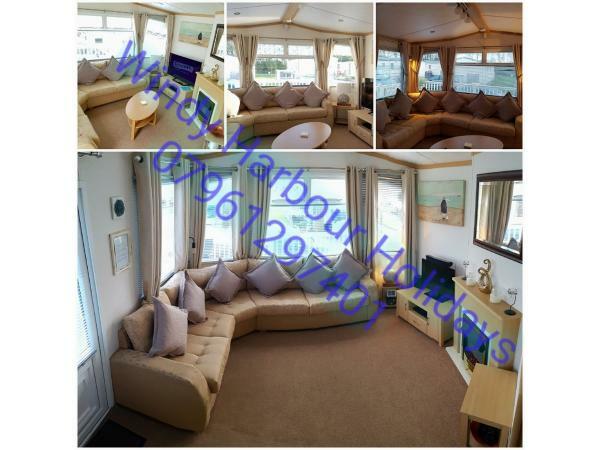 Please note that this caravan is no smoking, no pets & no single gender groups (as per site rules). Thank you. 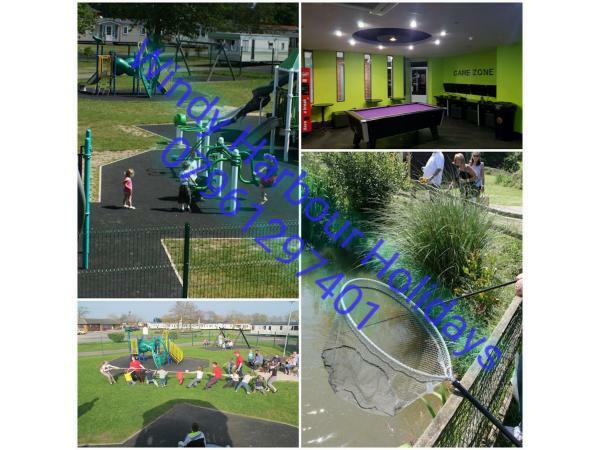 The park benefits from a well stocked Shop, Cafe, Fish & Chip Shop, Launderette, Mini Gym and Arcade. 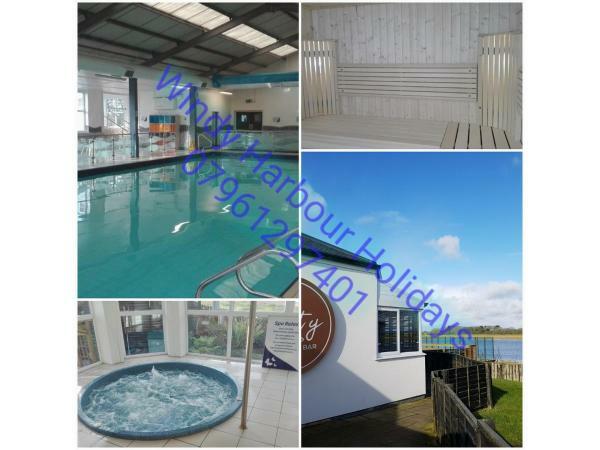 Other superb facilities available are a lovely Swimming Pool with Jacuzzis and Sauna, a choice of 3 bars and a Kid's Club, all offering regular entertainment. There is also a 14 peg, stocked Fishing Pond (rod licence required). 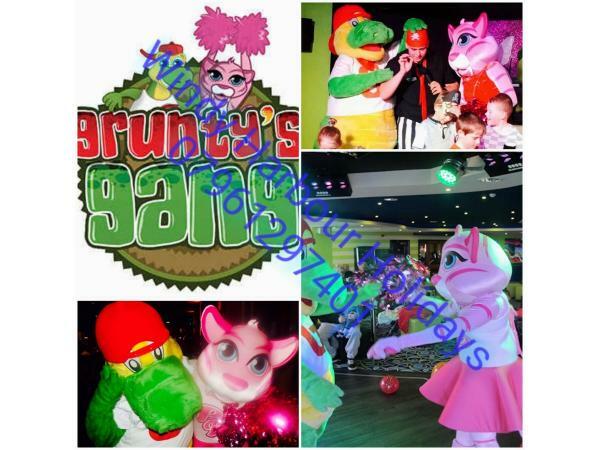 These facilities are accessible by purchasing an Entertainment Pass, current prices: Adults Daily £4, 3-4 nights £6, Weekly £12; Children (3-17) half price. 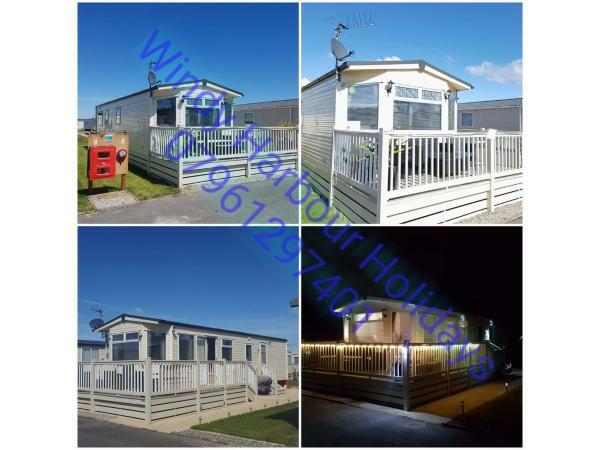 Blackpool, the entertainment capital of the UK, is only 6 miles away and is accessible by car, bus (stop close to park entrance), train from Poulton-le-Fylde or taxi (special park rates, see Reception). Cleveleys, Fleetwood, Lytham/St Anne's and Southport are also within easy distance. 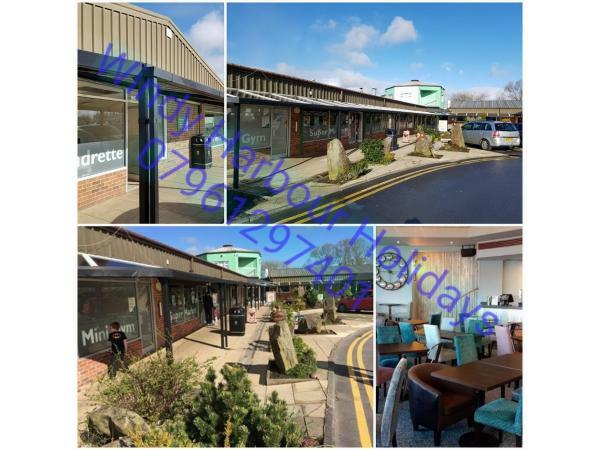 There are also many other local villages & amenities within a short car ride's drive. No reviews found. 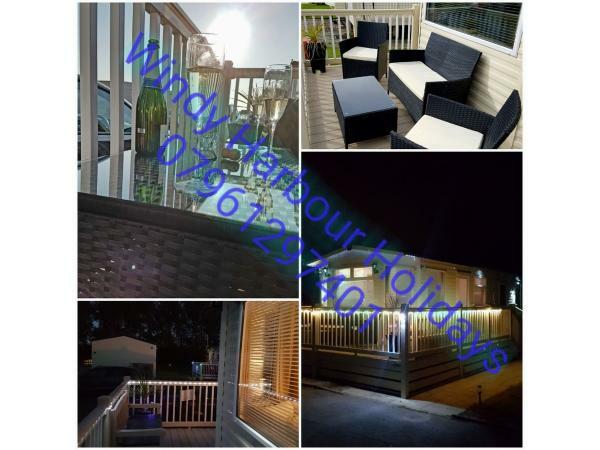 If you have recently stayed in this holiday home please leave a review, it only takes a few moments and will really help future guests when they are searching for holiday accommodation at Windy Harbour Caravan Park.